Video Archive Project: Why Obama? Creating opportunities for transformation and proactive change via the arts! On Monday April 16, 2018, the day after the closing of the Ithaca High School production of "Hairspray," a very diverse group of people, who would rarely even talk to one another, came together in the chorus room of Ithaca High School for four (4) very intense hours. 29 students, 4 teachers, 2 ICSD administrators and 1 school board member, dropped their guards and did some heavy emotional and practical lifting. Through the genre of theatre this group acted out, wrote, spoke, listened and explored difficult truths about broken trust, racial bias, privilege, profiling, micro-aggressions and institutional racism. The diversity of the group spanned race, gender identity, age, socio-economic position, sexual orientation, ethnicity and nationality. There were athletes, actors, artists, musicians, academics, teachers and administrators. Facilitating the workshop was Cynthia Henderson assisted by Harmony Malone and Ithaca College students Chris, Anu, Christian, Kimberly, Liz, Erin and Emily. The truths spoken and listened to were sometimes hard to experience for the participants. There were moments of tears and anger. They held the space and listened to each other. These same people who would pass each other in the hallways with barely a glance, were paired up to debrief after exercises and would engage with an understanding of the shared experience. There were smiles shared and then they'd write. Then they'd stand and deliver. The groups were constantly mixing. A student who didn't want to be near an administrator ended up in deep workshop conversation with one and then they did an exercise together that surprised them both. The superintendent stopped by to check in but soon found himself actively participating in a privilege exercise and break out group conversation. Each revelation, each poem, each wish, each experience, was carefully gathered by the PASC team. At the end the school board member shared with the group that those workshop participants that stepped forward to form the Work Group, would be a part of creating new policy for the ICSD. The work they did this night would be used by the Work Group to create a Working Agreement that will be implemented at Ithaca High School, in order to actively address the institutional racial bias that has cultivated a segregated school community. That set of working agreements would then be brought to the school board and be developed into accountable policy for the ICSD. The workshop was advertised to and open to the entire Ithaca High School community. No one was turned away. Those who chose to participate soon recognized that the work they did this night would have a policy level impact on their school community for years to come. At the end of the workshop, as they sat surrounded by their work, they each reflected on what they'd done. Then they asked "when will our work be typed up and distributed?" and a student asked "When do we start the work group?" By Friday #TeamPASC will distribute the work they did to all of the workshop participants. The rest is up to them. It is our sincere hope that a diverse selection of students, teachers and administrators come together soon. The community is hungry for positive and proactive change in the ICSD as it relates, to racial bias and profiling. Phase 1 and Phase 2 are done. On to Phase 3 of Ithaca High School's journey toward true inclusion. PASC is honored to have been a small part of that journey. DREAM ACTS, written by an amazing cohort of international playwrights, including Saviana Stanescu, will be performed Sunday March 25th at 7:00 pm in The Cherry Arts Space of Ithaca, NY. DREAM ACTS tells the stories of 5 Dream Act eligible undocumented teens facing the extraordinary challenge of living ordinary lives under the radar in the U.S. The suggested donation is $10. 100% of the donations will go to benefit a local Legal Services Program, which offers free and sliding scale legal assistance to immigrants in Ithaca. ​Donations will be accepted at the door or you can donate online here. If donating online, please add a note that your donation be directed to the Immigration Legal Services Program. Your donations are tax deductible. This event is sponsored by Performing Arts for Social Change and supported by The Cherry Arts Space. 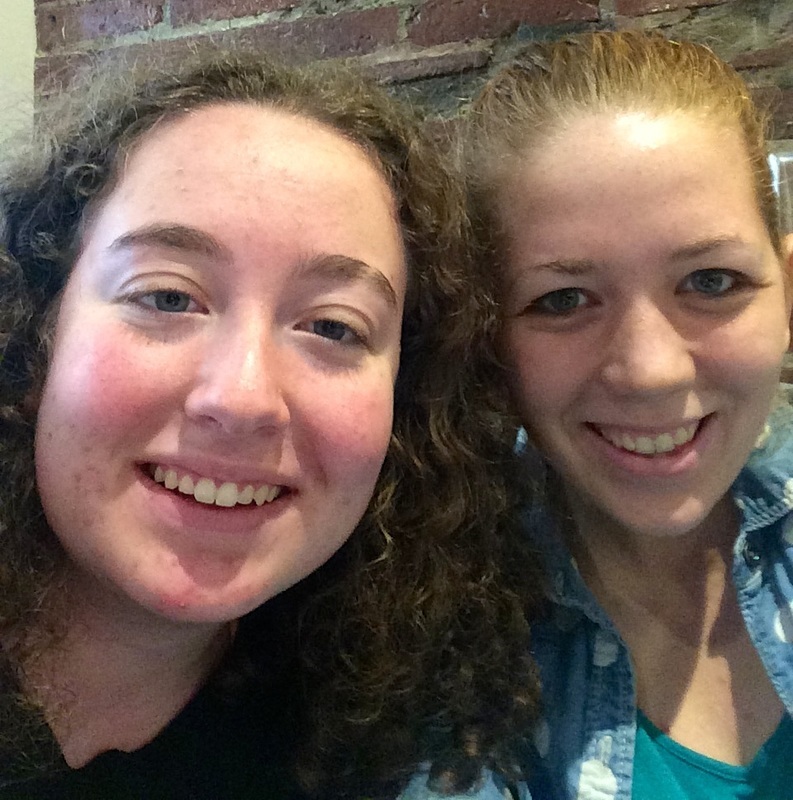 PASC's Rachael Langton, mentors LGBTQ student project! PASC's Rachael Langton, a BA Theatre Studies major in Ithaca College's Department of Theatre Arts, is mentoring a script development project with Lehman Alternative Community School student Tamar Shapiro-Tamir. Langton, whose creative focus is playwriting, assisted Saviana Stanescu in the creation of the play ​Trust (Photos page). 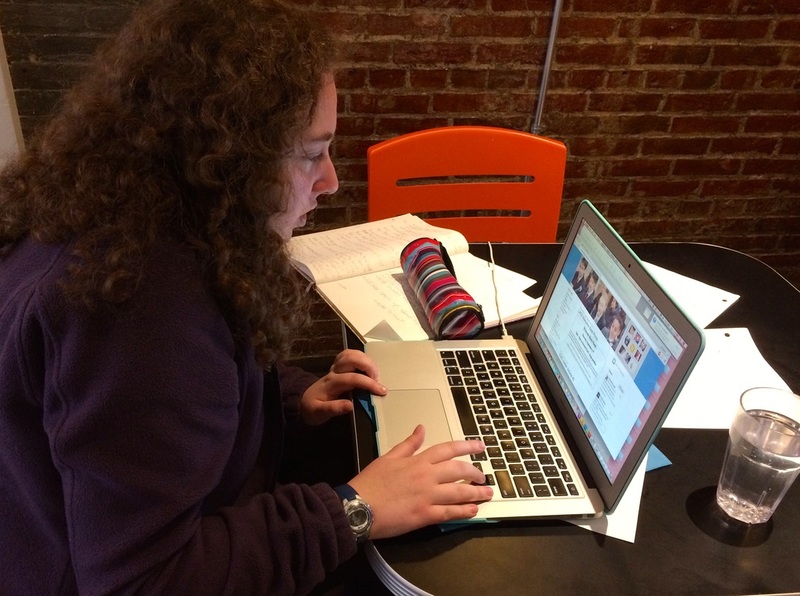 Tamar Shapiro-Tamir, a student at LACS is developing a play which focuses on the LGBTQ Youth. She describes her coming out story as well as the things she wishes were discussed when she was coming out. Tamar states; "When I was coming out, even though my home is Ithaca, the most liberal of liberal towns, I still often felt isolated. It would have meant the world for me to be able to speak to another girl about the experience of loving a girl." Her play focuses on growing up and discovering your identity and sexuality within a confusing world that poses many questions. Her goal with this play is to allow the up-and-coming-out generation of queer teens to let go of the cliche, and realize that they are not alone. The first draft of the play will be ready within a few weeks, and Langton will guide the development of the play into a staged reading by March 2016! PASC in Joao Pessoa, Brazil! Cynthia Henderson traveled to Brazil as a Fulbright Specialist to facilitate a workshop with professors and graduate students from the Universidade Estadual da Paraíba; UEPB which addressed the affect of violent crimes on the community. Joao Pessoa ranks in the top 10 most violent cities in the world. The workshop was designed to shed light on and create solution based dialog between the community and law makers. There were two performances of the production titled "For Whom We Cry" ("Por Quem Choramos"). Since Henderson departed the group has revived the play for new audiences in Joao Pessoa. Post performance: Henderson with the workshop participants in Joao Pessoa, Brazil. ​PASC is teaming up with the Mental Health Association of Tompkins County to address the stigma surrounding issues related to mental health. Working with a team of Ithaca College students, psychologists and administrators at the Mental Health Association, the team will gather the stories of community members to create a play that gives voice to those who feel lost in a cycle of need and the stigma of seeking help. The Penn State College of Arts and Architecture wrote an article spotlighting Henderson's work with PASC from childhood to the present. The article is titled Penn State Theatre Alumna Uses Performing Arts to Empower, Raise Awareness.